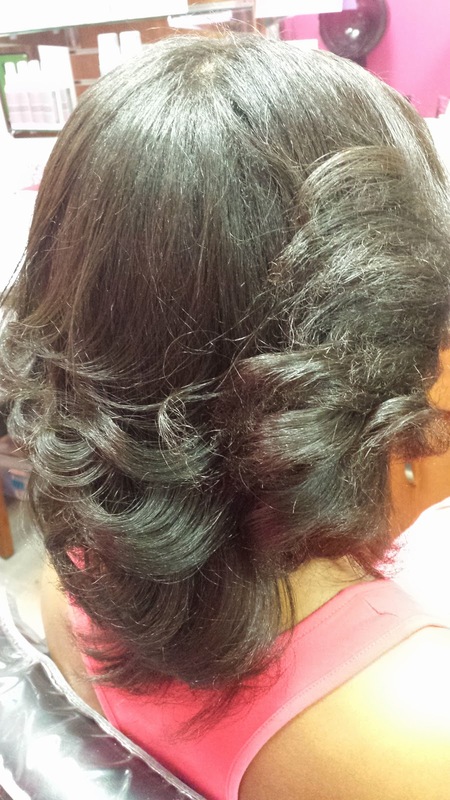 This is a natural client who has no relaxer and no color in her hair. Every now and then she gets the urge to have her hair straightened but has no interest in a relaxer. 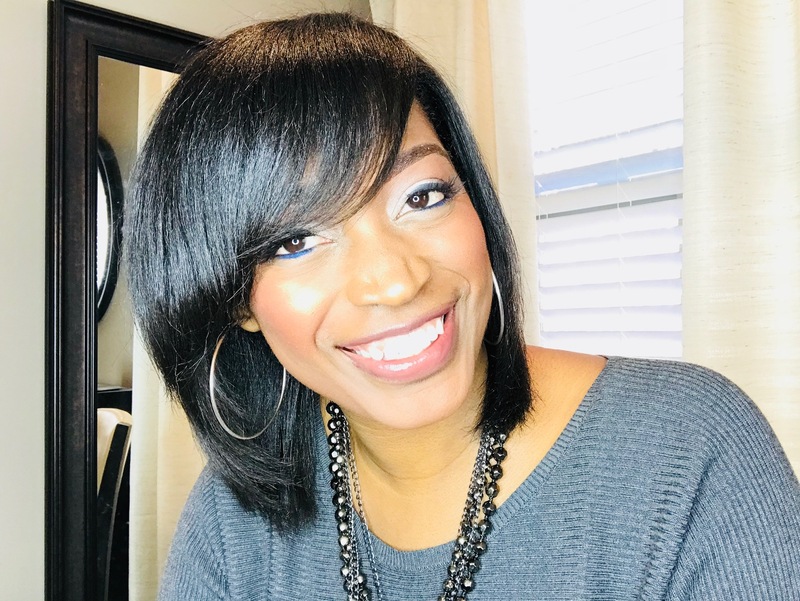 For temporary straightness she opts for a silk press. 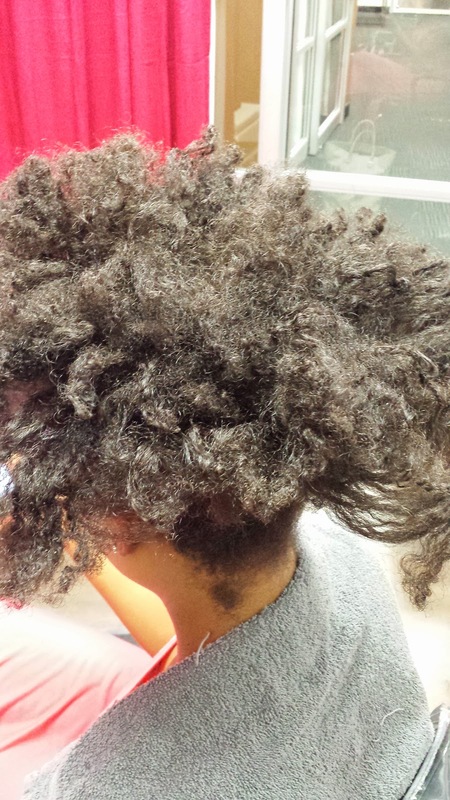 This is her curly hair when taken down from her ponytail puff. 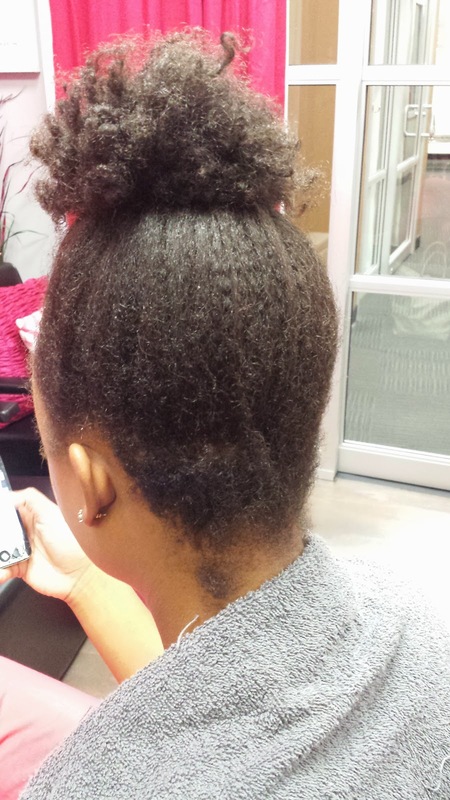 She has a tight curl pattern with coarse, thick hair. 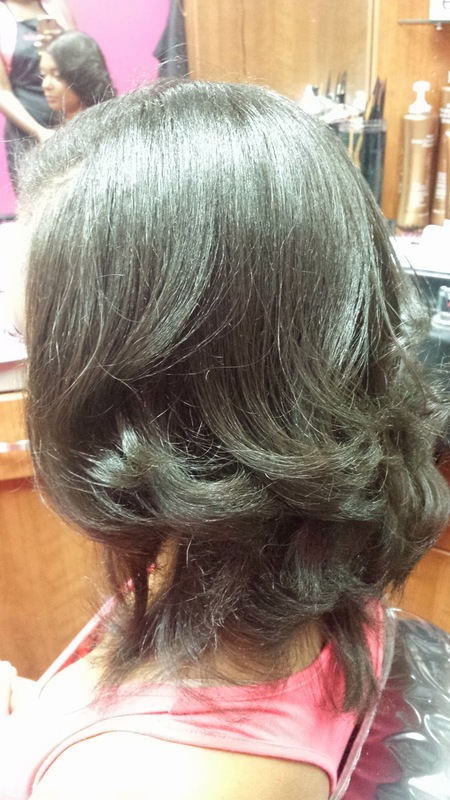 In just one hour and thirty minutes later, her hair was completely straightened. 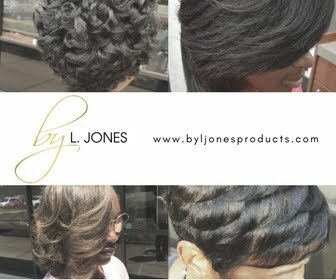 I prepped the hair using Silk Hydration by L. Jones products before I began blow drying and pressing with the ceramic iron. 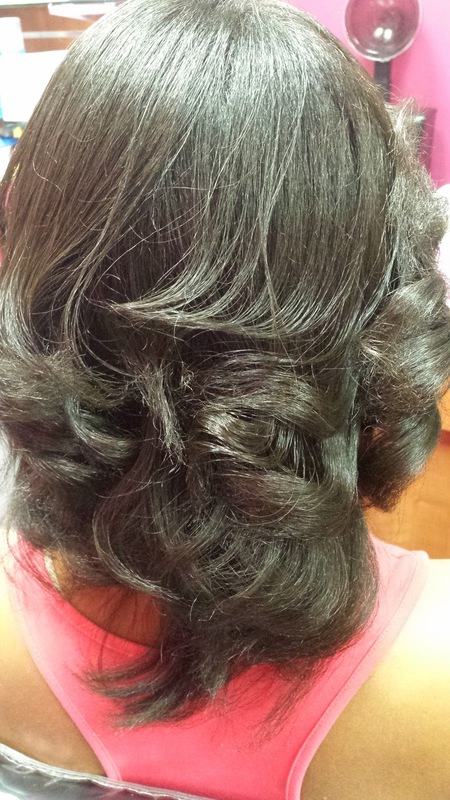 Instead of having it bone straight she wanted a little curl to it. 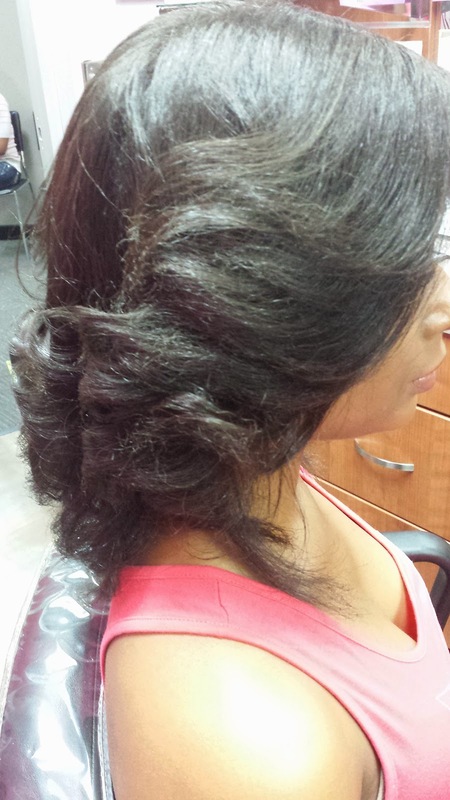 The curls were also achieved with the ceramic flat iron. Her hair will go back to curly as soon as she shampoos it again. 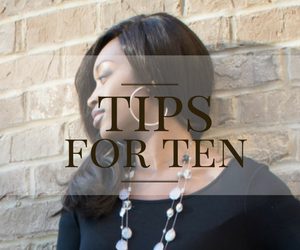 With my technique, I apply just enough heat to get it relaxer straight without heat damaging the hair. 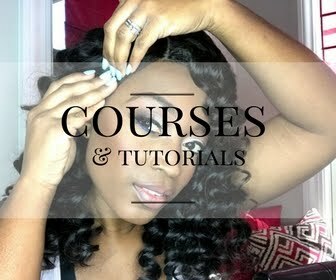 Therefore, when any moisture touches her hair it will revert right back to its curl. To maintain this she can roll it or wrap it up every night. After about two weeks it will be time to shampoo her hair again.